The time comes when your website design needs a refresh and some new life breathed into it. 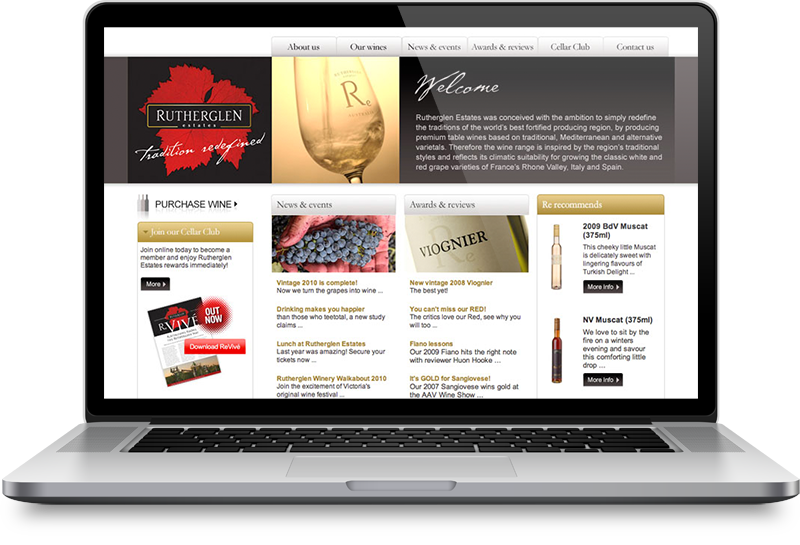 That’s just what happened for Rutherglen Estates. 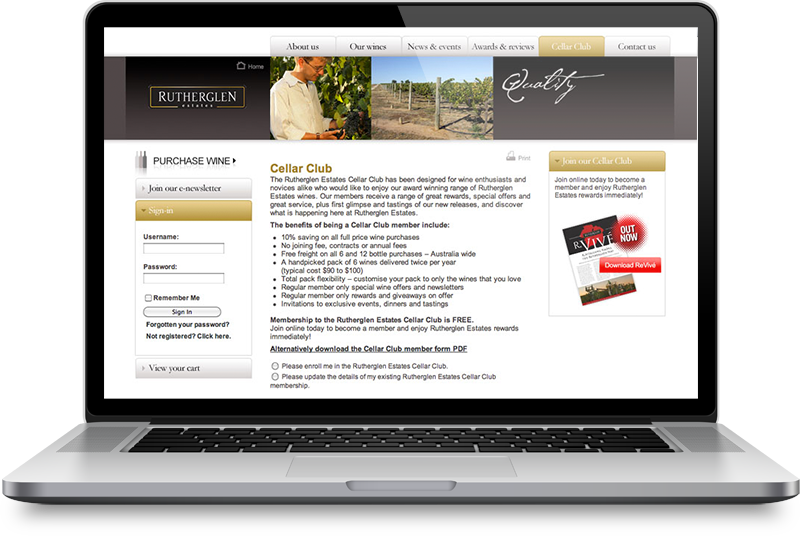 A custom e-commerce site packed with personality and brand presence was the answer. 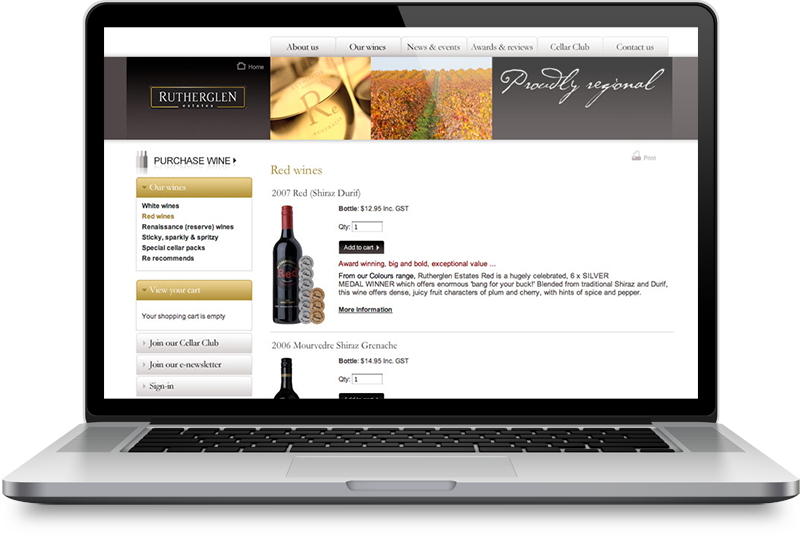 Focusing on clean, easy to navigate user journeys with a product focused look and feel making it easy to purchase delicious wines within a few clicks. Created while employed at On Q Design.